All horses require salt in their diet, specifically sodium chloride (table salt). Per the National Research Council, the average 1,100 lb. horse at rest needs 25 grams of sodium chloride per day. Horses in moderate work require approximately 55-65 grams of sodium chloride per day, and horses with heavy or demanding workloads could potentially require up to 200 grams per day! Horses will get some sodium chloride from their grain rations and supplements, so be sure to check the nutritional content on the labels to determine how much additional salt your horse may need. Most horses are good at regulating their salt intake and will only consume what their body tells them they need; however, some horses will over consume out of boredom. Sodium is one of the main electrolytes found in your horse’s body and is important for fluid balance and hydration. Sodium levels influence your horse’s drinking. If sodium levels are low, the body will strive to keep from flushing away the sodium and signal the horse to avoid drinking. Conversely, providing adequate amounts of sodium during times of need, such as during high performance, hot summer or cold winter months, can stimulate the horse to drink more. When a horse sweats, he loses sodium and other electrolytes that will need to be replenished. It also works in conjunction with chloride to manage muscle and nerve functions, and reactions. Inadequate salt intake can also result in abnormal eating or licking habits, such as eating dirt, to get the nutrients his body is telling him he needs. Sodium chloride comes in many different types and forms – plain white blocks, red trace mineral blocks, Himalayan licks on a rope, loose table salt, iodized salt, sea salt, Himalayan salt, and more! The type of salt you choose should be dictated by your horse’s specific needs, the nutrient content of his diet (including grain ration and supplements), and his taste preferences. The plain white salt blocks and table salt solely contain sodium chloride. If you’re unsure of what your horse needs or don’t want to add other minerals, start with offering your horse pure salt. Another option is to feed iodized table salt, which adds iodine to the sodium chloride; however, be sure to check your grain rations and supplements for iodine amounts. Iodine is generally added to mixed feeds and is found in high levels of kelp-based supplements, and when over supplemented, can affect the thyroid gland. Red trace mineral blocks contain, as the name suggests, trace minerals (copper, zinc, manganese, cobalt, iron and iodine) in addition to sodium chloride. Trace minerals are important part of the horse’s diet, but some forages and almost all grain rations contain important trace minerals. The likelihood of your horse getting too much trace minerals with the addition of a mineral block is unlikely; the levels in these blocks are not high enough to make a significant impact and most horses won’t consume enough of a salt block for it to become an issue. The only downside is that you may end up paying for something that your horse doesn’t really need. On the other hand, if your horse prefers the taste and it gets him to consume his needed amount of sodium, go for it! A third type of salt for your equine partner is rock salt or Himalayan salt, mined from rocks in Pakistan or parts of Utah and Colorado. Himalayan salt is considered to be one of the purest salts available; it is not heavily processed like table salt, so it leaves the natural minerals intact. It tends to be weather resistant and will hold up if left exposed in a wet environment, which makes it ideal for pasture use. Some horses definitely prefer the taste of the Himalayan salt, so if your horse turns his nose up at the other types of salt, give this a try! Himalayan salt licks are available in blocks, on a rope (to help prevent boredom by encouraging the horse to play and chew) and loose for adding to grain. Salt can be fed in a few different ways; the method that works best for your horse may vary depending on your horse’s preferences or how his feeding is managed. Horse owners can add loose salt directly to the feed or free choice in a bucket, or via salt block in the stall or pasture. Putting salt directly in your horse’s feed allows you to control exactly how much salt he is getting, but may not be a service that barn management offers if your horse is boarded. A salt block in his stall allows him to lick or chew as desired, but you need to monitor that he is getting enough salt. A small block should last about 2 months. When feeding loose salt, make sure you buy the plain white salt that’s intended for animal consumption, not one blended with minerals or used for de-icing. Horses that consume their salt from loose feedings tend to have a higher intake due to ease of consumption. If provided free choice in a bucket, keep it in a covered area and check it daily to monitor consumption and refill timelines. If your horse is salt-deprived, you may want to limit the amount that’s initially provided until he regulates his consumption. As with providing any type or form of salt or electrolytes, make sure to always have fresh, clean water available at all times. Salt blocks are convenient for horse owners; they can be placed in the stall or pasture and the horse can lick when he desires. However, there are some drawbacks to blocks as well. Salt and mineral blocks were originally designed for cattle, which have rougher tongues than horses. Horses have rather smooth tongues that can become irritated with repeated licking of rougher surfaces and they may not end up getting the amount of salt needed. 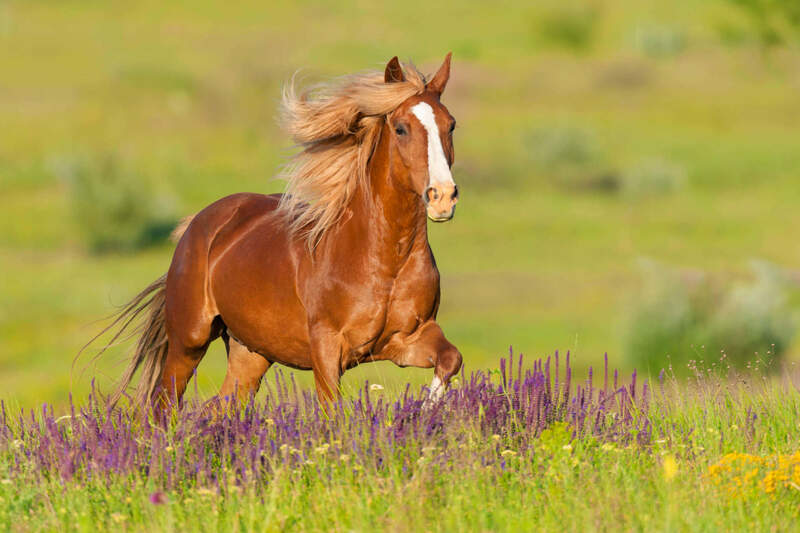 Horses can also become frustrated with the blocks and bite them in an attempt to consume more, causing teeth or jaw problems. In the winter time when salt intake and water consumption is extremely important, the blocks can be very cold with the temperature drop and become even less inviting to lick. Some horses enjoy a “community” salt block that is out in pasture with multiple horses; however, if your horse is pastured with a bully, he may control access to the salt and deny your horse. Any salt provided in an outside setting should be protected from the weather and kept clean. Horse owners may use covered stations or put salt blocks in the corner of shade sheds. So, which salt type and form are ideal for your horse? 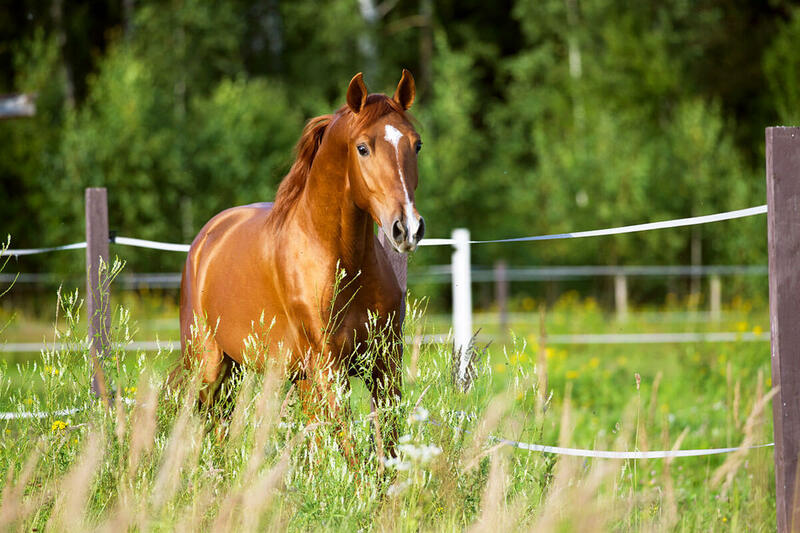 Since a lot of this has to do with your horse’s preferences, you’ll need to go through a bit of trial and error to find something your horse likes. If your preference is to use a block, try small blocks of both white and red mineral blocks to see which one your horse seems to prefer. Note that if you put the salt block in your horse’s feeder and he sloshes water or drools on it, it may dissolve some of the block without him actually consuming it and give a false impression of consumption. If your stabling set-up provides large salt blocks in pastures, try to observe if your horse is actually getting a chance at the block. If he gets bored in his stall, you can try a Himalayan salt lick on a rope for him to play with. If you’re concerned about your horse’s sodium consumption, especially if he’s working hard in hot, humid conditions, consider adding loose salt to his daily grain. Table salt can be purchased in bulk inexpensively and plain white salt, either loose or in block form, should be your best bet financially. The bottom line is that all of these options provide sodium chloride with little benefit of one over the other. Your goal, as horse owner, is to make sure your horse is fed or has free access to salt – and he will let you know his preferences!